Dawn wins her final Sinnoh Ribbon. Ash's Monferno evolves into Infernape. Ash is beaten in a battle by Flint. Ash's Grotle evolves into Torterra. Jessie wins her fourth Sinnoh Ribbon. Jessie is given her fifth Sinnoh Ribbon. Dawn is given a Togekiss. Dawn, Jessie, Kenny and Zoey enter the Grand Festival. Dawn knocks Jessie out of the Grand Festival. Dawn and Zoey reach the Final of the Grand Festival. Zoey beats Dawn and wins the Grand Festival. Ash defeats Volkner and earns a Beacon Badge. Ash's Cyndaquil evolves into Quilava. Ash arrives at the Sinnoh League. Ash wins his First Round Sinnoh League match. Paul knocks Barry out of the Sinnoh League. Ash knocks Conway out of the Sinnoh League. 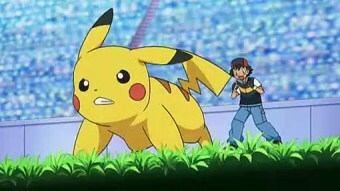 Ash is drawn against Paul in the Sinnoh League. Ash knocks Paul out of the Sinnoh League. Takuto knocks Ash out of the Sinnoh League. Takuto wins the Sinnoh League. Brock's Happiny evolves into Chansey. Ash, Brock and Dawn part company. Ash sets off for the Isshu region. TrainerAlice_95 on Fri 27 Oct 2017 04:42:43 UTC.